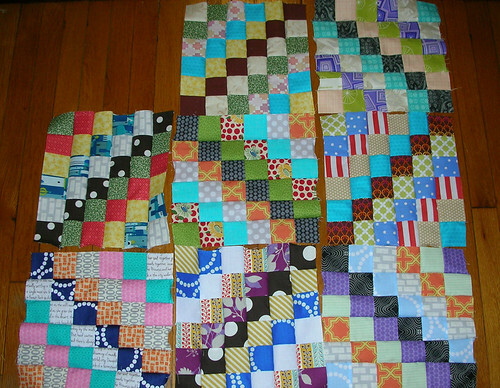 I haven’t been making much progress lately — I’ve done eight more blocks for my scrappy trip quilt, for a total of 38 blocks finished, and I made up two more blocks for the INSPIRE circle of do. good stitches, because my first two got lost in the post. What are you all working on? Hi Alisa, Stopping by for WiP, and I love your scrappy trip along. I have got to start one of these – I’m in awe that you’ve done over 30 blocks!